Signs of agreement in marathon talks between Lithuanian and Sephardic haredi parties over who controls Bet Shemesh. An inter-haredi power struggle in Bet Shemesh shows signs of abating as more agreements are reached in the marathon talks between the Shas and UTJ haredi parties. The United Torah Judaism (UTJ) party have been negotiating with the Sephardic Shas party and are threatening to run their own candidate in the Beit Shemesh mayoral elections next October. 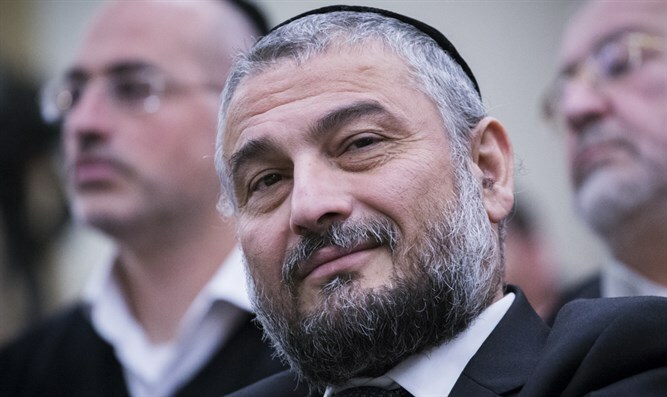 While Shas representative Moshe Abutbul has served as Beit Shemesh Mayor since 2008, the Degel Hatorah faction is debating whether to run its own candidate as Beit Shemesh's Lithuanian-haredi population continues to climb. After extensive talks regarding which faction receives the cities education portfolio, an agreement was hatched out in which the Lithuanian Agudath Yisrael and Degel Hatorah parties will share control. The Lithuanian parties will also gain a seat on the religious services council. The agreement was hotly contested by non-haredi mayoral candidate Aliza Bloch, who accused the haredim of disregarding the wishes of Bet Shemesh residents in favor of "closing deals in the dark". Abutbul said in response that "If Mrs. Bloch has complaints about closed deals in the dark, I invite her to call the police as soon as possible and share them with everything that is on her heart. We will continue for another five years with or without her." Beit Shemesh's previous elections in 2013 were marred by widespread allegations of electoral fraud amid a contentious campaign that was seen as a battle over the city's increasingly haredi image. On election day itself, police arrested several haredi men in possession of an estimated 200 fake ID cards, which they had apparently been using to cast fraudulent votes. In addition, several residents said after the elections that when they had come to vote, they had been wrongly told that they had already voted.